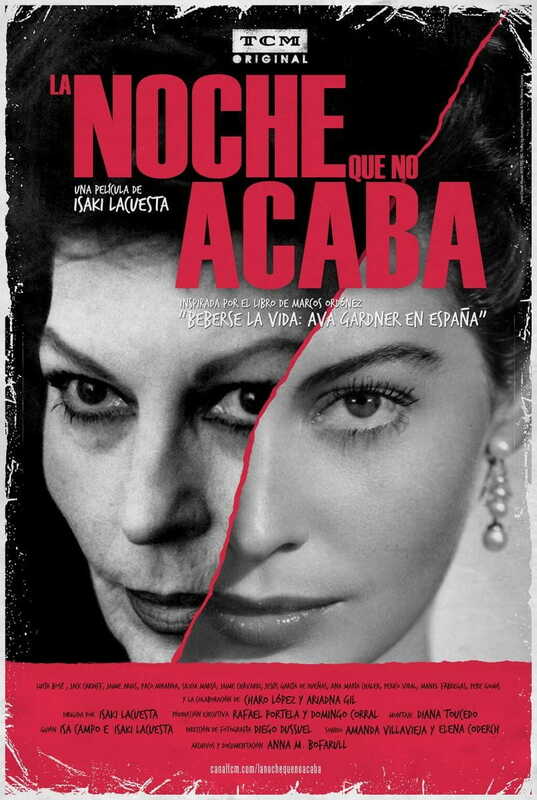 Based in the book of Marcos Ordóñez "Beberse la vida: Ava Gardner en España"
Ava Gardner set foot in Spain for the first time when she made Pandora and the Flying Dutchman, directed by Albert Lewin. It was 1951, and she had never left the United States so far. It marked the beginning of a unique and absolute relationship between the star and the land of Spain, an intense affair made of encounters, stories, and legends. This is a reflection on the potency of the cinematic imagination. Best Documentary Film Festival Cinespaña Toulouse 2011. Carlos Abella, Jaime Arias, Lucía Bosé, Jack Cardiff, Ana María Chaler, Jaime Chávarri, Francisco Fernández, Manel Fàbregas, Jesús García de Dueñas, Ariadna Gil, Carme Gironès, Pere Gomis, Charo López, Sivia Marsó, Paco Miranda, Assumpció Nicolazzi, Francisco Román, Francesc Torres Monsó, Perico Vidal.